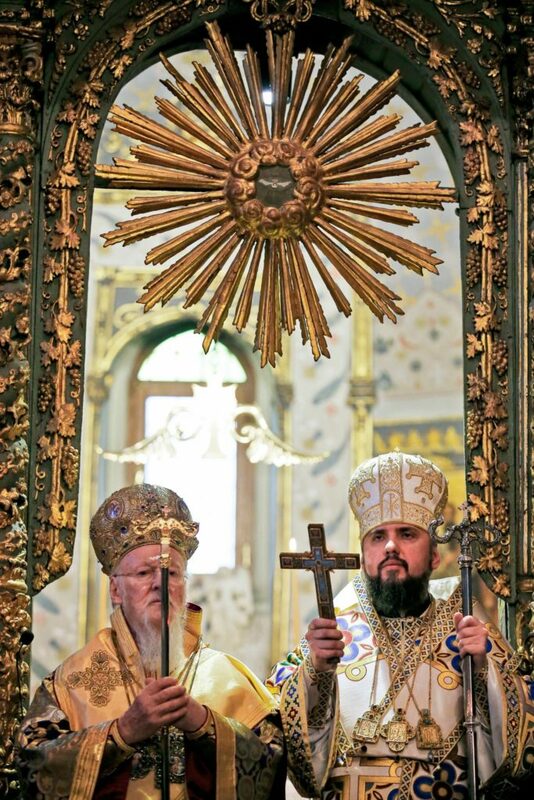 Ecumenical Patriarch Bartholomew I, left, and Metropolitan Epiphanius, the head of the independent Ukrainian Orthodox Church, conduct a service after presenting the “Tomos,” a scroll containing the decree, in a symbolic ceremony sanctifying the Ukrainian Church’s independence from the Russian Orthodox Church at the Patriarchal Church of St. George in Istanbul, earlier this month. On Jan. 5, some 150,000 people lined up in front of the St. Sophia Cathedral in Ukraine’s capital, Kiev. They came to see a single document called a tomos, issued a few days before by the ecumenical patriarch of Constantinople, Bartholomew. There, on a piece of parchment, written in ornate Greek, English and Ukrainian, were words that the Ukrainian Orthodox Church had dreamed about for centuries: The document made the Ukrainian Church autocephalous, meaning it is now fully independent from Moscow. This declaration of independence came about despite months of behind-the-scenes attempts by the Kremlin and Russian Orthodox Church officials to dissuade Patriarch Bartholomew from issuing a tomos. When cajoling did not work, Kremlin-connected hackers (who were recently indicted in the United States) stole thousands of email messages from Patriarch Bartholomew’s aides. When blackmailing failed also, Moscow resorted to traditional bullying — issuing unspecified threats and denouncing the patriarch as an agent of the United States and the Vatican. Still he did not waver, and the split was accomplished. It is a serious blow, on several levels, to the ambitions of Russia’s president, Vladimir Putin, as well as the Russian Church. The Ukrainian Orthodox population accounts for about 30 percent of all Orthodox Christian believers under Moscow’s patriarchate. Dozens of parishes have already switched to the Ukrainian Church and hundreds more are likely to follow. Moscow stands to lose millions of the faithful and untold millions of dollars in church property. But those are not the most important losses. With autocephaly, a large portion of the Ukrainian population will now be under the influence not of Moscow on church matters but of an independent church in Kiev. In other words, Russia may have annexed Crimea, but it has lost Ukraine. Most significant, the struggle over the Ukrainian Church has played out against a background of Mr. Putin’s efforts to recast a much-weakened Russia, where 20 percent of the population is Muslim, as a land of unified people with a single identity. In that effort, one of his strategies has been a growing reliance on the church as a core of Russian identity and a stalwart supporter of his regime. Indeed, the ties between the Kremlin and the Moscow Patriarchate are as old as Russia itself. Throughout its history, the Russian Orthodox Church was subservient to the state and an unshakable supporter of autocracy. Starting in the 16th century, the church provided Moscow’s rulers with a political theology of Manifest Destiny, asserting that Moscow had become the Second Jerusalem and the Third Rome (after Rome and Constantinople). The emergence of the atheist Soviet state in 1922 dealt a severe blow to the church. The state confiscated most ecclesiastical property, and few seminaries survived. The KGB infiltrated the priesthood, informing on clergy and promoting Soviet interests abroad. 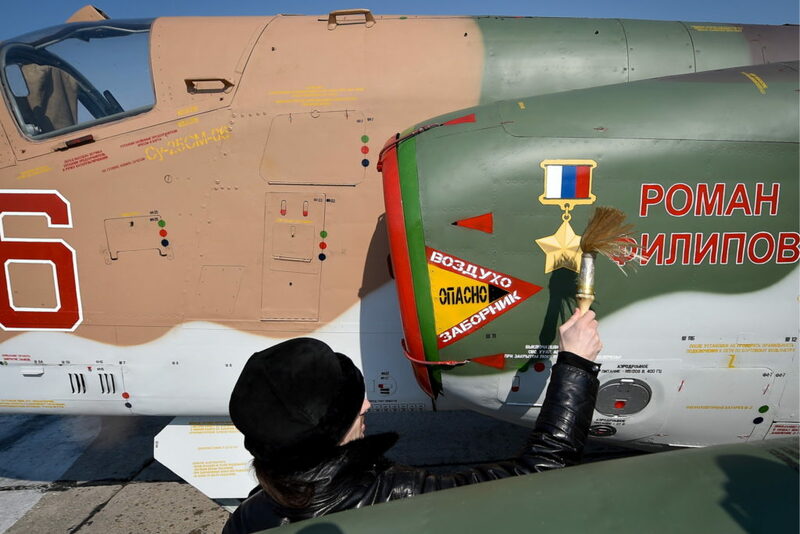 A Russian Orthodox priest sprinkles holy water on a Sukhoi Su-25SM attack plane of the Russian Eastern Military District’s Air and Air Defense Force aviation regiment at Chernigovka military airfield in 2018. One of the best examples today of how the church and Kremlin work hand in hand to advance Russian nationalist projects is an exhibition: “Russia — My History” — organized by the government with the Russian Orthodox Church. On display throughout the Russian Federation, it glorifies Russian autocrats, including Ivan the Terrible and Stalin, as great leaders, while vilifying as Western agents the Decembrists, a group of young Russian officers who sought to introduce reforms and a constitution in 1825. Portraits of President Putin and Alexander Pushkin, the founder of modern Russian literature, hang together. Similarly, Dostoyevsky is paired with a Russian fascist philosopher, Ivan Ilyin, whose little-known works have been revived under Mr. Putin. The exhibition’s explicit message is that Russia’s size and geopolitical ambitions demand a strong, even if repressive, leader to solidify the country and defy its enemies in the West. 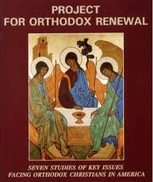 This timeworn argument, often used to justify autocracy, is now being fused with a religious doctrine earlier propounded by Ilyin: Russia is a unique and separate Christian civilization whose responsibilities are only to God. The exhibition is a brainchild of Bishop Tikhon Shevkunov, who is known for his strong nationalist views and for being Mr. Putin’s confessor. He is also behind a project to rename Russia’s main airports after Russian “heroes.” The list consists almost completely of ethnic Russian men, either military figures or scientists, who contributed to Russia’s military might. Conspicuously, Andrei Sakharov, the father of the Soviet nuclear bomb, who also received the Nobel Peace Prize for human rights campaigning, is missing from the list. Alongside those developments, the role of the church and its influence in the government and the military have been steadily growing. Russia’s Defense Ministry is completing a construction of its own cathedral, billed as the third largest of the Orthodox Christian churches. The ministry recently announced that the cathedral’s steps will be made out of melted German armor captured in World War II. “They,” of course, is the West, which has now been transformed by propagandists from a mere geopolitical foe into an enemy of the true Christian faith represented by Moscow. In reality, however, Mr. Putin’s Russia has reached a dead end. His policies have only led Russia into deeper isolation, now in matters worldly and holy alike. Seemingly unable to change course, Mr. Putin’s regime is desperately searching for an ideology in the dark corners of Russian history and theology. The fact that this ideology depends on creating a nationalist and anti-Western rhetoric alongside a vision of an Orthodox Christian Holy Russia should give anyone pause for serious concern. Michael Khodarkovsky is a professor of history at Loyola University Chicago. Spot on. The Ecumenical Patriarch is a very brave and far-sighted man. In spite of the bile poured out against him, he has not responded in kind, and has called for no schism. 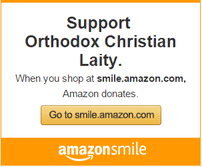 As an Orthodox Christian, I do not want the Russian government to dominate our faith for their geopolitical purposes. Putin & his oligarchs are fools! The ROC has no choice, but to toe the line with Putin, but Russia will NEVER emerge as a responsible member of the world community. Putin makes billions with his oligarchs and an entire economy based on OIL. As the world turns to hydrogen & electric, oil will decrease. Russians outside of Russia do not view themselves as members of Putin’s Russia and most are minimal Orthodox Christians. It is very, very sad. The only way out is for Putin to be banished, the oligarchs ruled in and a REAL DEMOCRATIC, FREE RUSSIA to emerge. The CHURCH; the ROC is fine for Russia, but it really doesn’t work outside Russia. Who really wants to be a Russian Nationalist anywhere in the world? What is there to be proud of? An Orthodox Christian, yes, but not a Russian Orthodox Christian beholding to a corrupt, murderous Russia under Putin! Wow. So much love. Murderous Russia? Well… yes, but China fits that bill too. And sadly, so does the United States. There is plenty of blood on all of our hands without pointing fingers don’t you think? Wow. A moral equivalence between Russia, China and the US? Self loathing must be part of the curriculum in high-school and college text books nowadays. A visit to D-Day beaches and American cemeteries in Europe and the Pacific might provide more balance to this world view. The Marshall Plan.. decades of foreign assistance and humanitarian aid across the globe. Does any of this stuff make it into the curriculum in schools today?